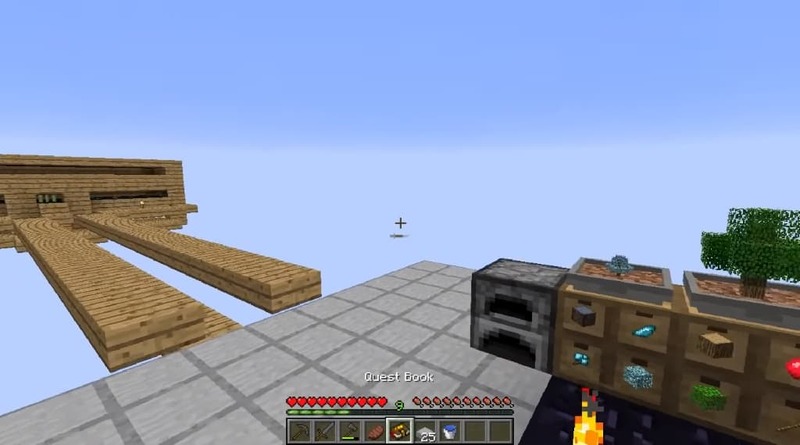 Equivalent Skies modpack 1.12.2 for minecraft is an expert pack based on ProjectE. 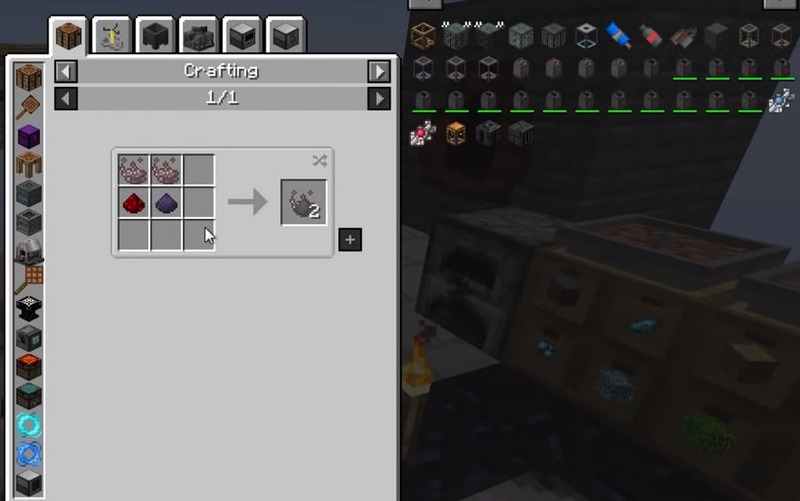 The pack isn’t supposed to be difficult or grindy, it’s just supposed to put the ProjectE start on level with the other skyblock companion mods and give you a progression line to follow rather than just making you OP off the bat. I think you’ll see what that means in the first minute of playing the pack. You’re not going to be overpowered, at least not until the end, and to progress you are going to need to set up a good bit of automation from the very start. Unlike the rest of the ProjectE-based skyblocks, this one doesn’t start you with Ex Nihilo, it’s ProjectE and only ProjectE. Your goal in this pack is going to be automating the Mk 7 Energy Collector and Anti-Matter Relay. Its average playtime is around 50h. This pack has a total of 99 quests, however I’ve tried to put as many things on one quest as possible, so if it was any other pack, it would be the same as having 250 quests. There mostly are no quest rewards. All the quests, except for maybe 5 that you still should do, follow the progression line and lead up to the main goal of the pack, so there really are no optional quests. There will of course be many things that you’ll want to make and set up that aren’t mentioned in the quest book, which is mainly the reason why i categorize this pack as an expert pack. You’re going to need to really know the mods to get around. 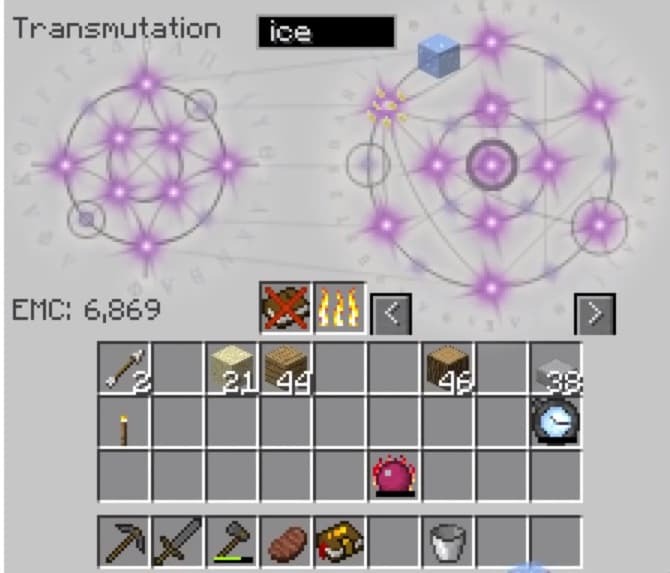 Of course, you could also set yourself goals other than the main one, be it generating 1T EMC, filling up a Draconic Energy Orb, killing the Gaia Guardian or making Void Metal, there’s a lot to do outside of the quest book. This pack has a total of 2 stacks of mods. The mods were picked in such a way that there are very few machines with similar functionality that can be found in multiple mods, in a way making a natural progression line. I’ve tried to cover as much of every part of every mod as possible in the main progression line. All versions of the pack should have server files that you can easily be installed by going into Files and then clicking “server files” next to the version you want to make the server for. To start up a server you just open up “start_server.bat.”. To join someone else’s island, you need to leave your island with /island leave, get invited by the other person with /island invite <player name> and accept the invite with /island join. Looking for a modpack onTwitch App?Just released a modpack and want to make sure it’s showing up in the app? No problem, that’s easy! First up, navigate to the Minecraft Tab in Twitch App. From here, click “Browse All Modpacks“, The modpack you are looking for, provided you have the correct name, should be sorted to the top.